The sky is blue and the temperature is rising. It’s time to dust off those bikes and shine them up for spring. 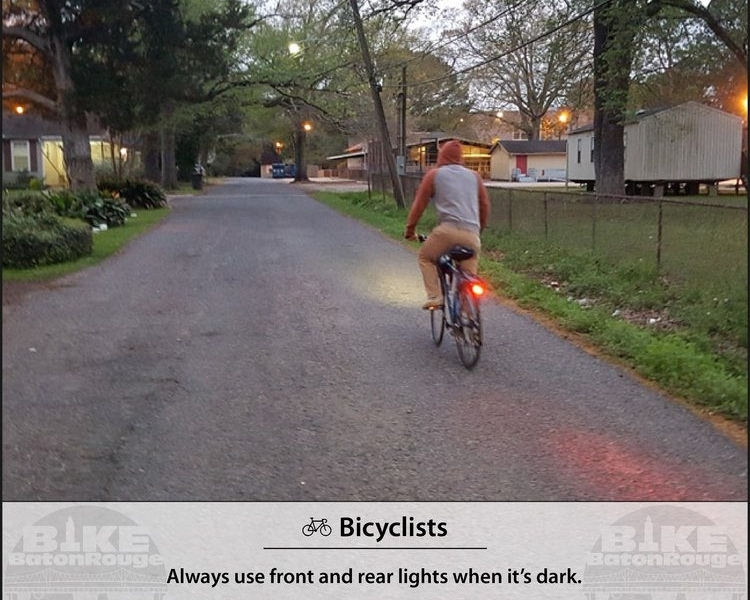 Before you pedal off into the sunset, familiarize yourself with some helpful safety tips. 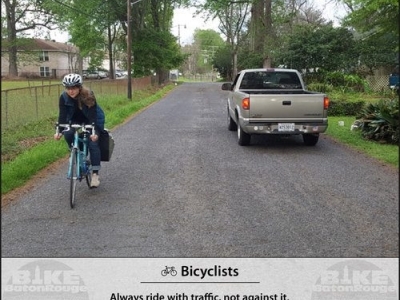 Bike Baton Rouge, a local nonprofit bicycle advocacy organization, is offering a list of bike safety tips which they hope will result in increased safety amongst bicyclists and motorists sharing the road. Spring sees greatly increased bicycling as the warmer weather and extended evening daylight hours allow for more people to bicycle after work or school. Already this year, several bicyclists and pedestrians have been involved in motor vehicle crashes in Baton Rouge, particularly along Florida Boulevard. Louisiana ranks third in the nation for adult bicycling deaths after Delaware (second) and Florida (first) according to a 2015 study by the Center for Disease Control, but Torkkola says that Louisiana rankings will improve as both bicyclists and motorists become more accustomed to the increased numbers of people riding bicycles in the state. 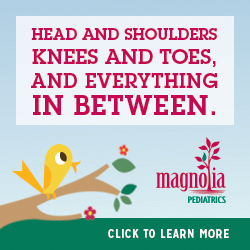 Each safety tip is based on Louisiana road law. Don't bike or drive under the influence of drugs or alcohol. Treat all other road users with care and respect!